Belly dance is an expressive dance which emphasizes complex movements of the torso. Originally a Middle Eastern folk dance, it has evolved to take many different forms depending on the country and region, both in costume and dance style. 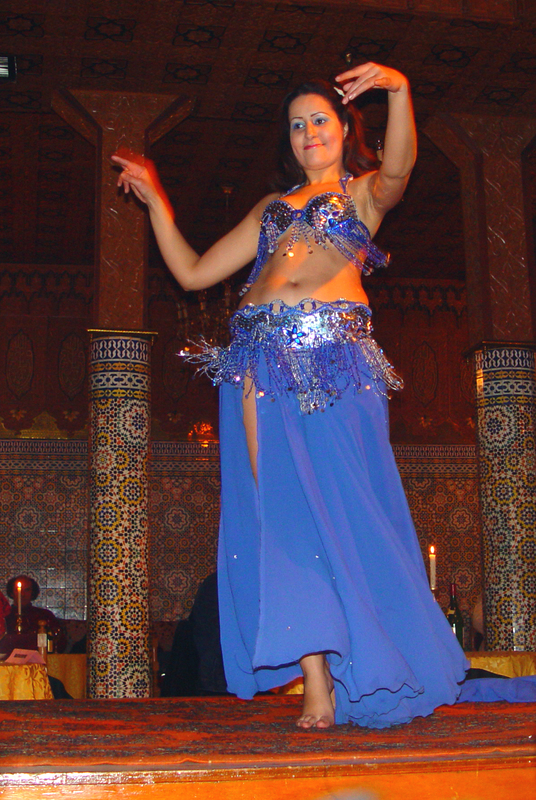 The term "belly dance" is a translation of the French term "danse du ventre", which was applied to the dance in the Victorian era, and probably originally referred to the Arabic tribe Ouled Nail dancers of Algeria, whose dance used more abdominal movements than the dances described today as "belly dance". It is something of a misnomer, as every part of the body is involved in the dance; the most featured body part is usually the hips.